Autumn is upon us, so it’s time to bring the outside in, with a gorgeous green plant. 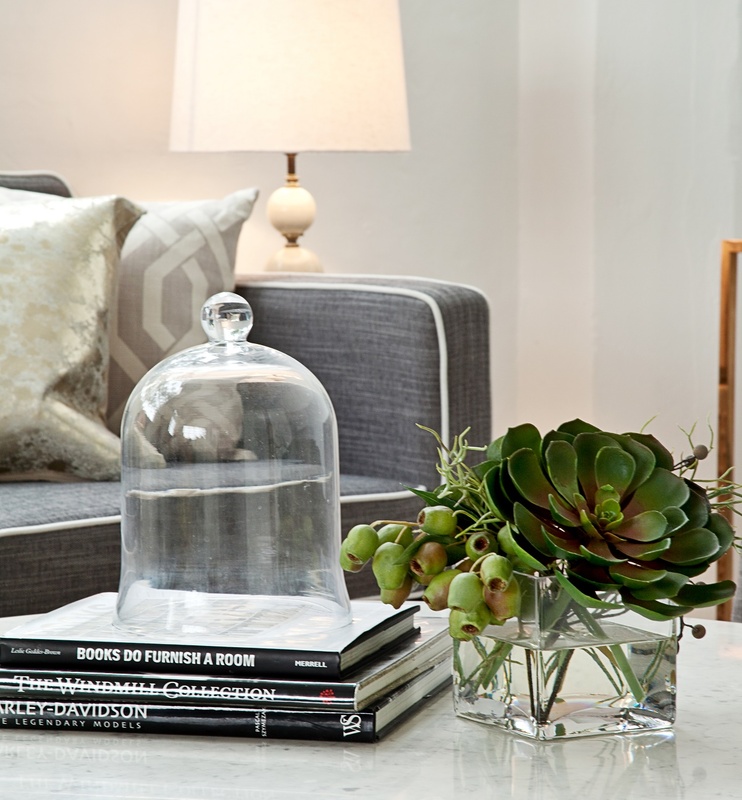 Elevate your living environment by introducing plant life into your home decor. Embracing plant life and incorporating greenery into your home can only have positive results, which have more than just visual benefits. Aside from beautiful visual impact, plants can stimulate other senses as well, think about the fragrance of Gardenias, Jasmine or Begonias, and certain plants can even boost wellbeing by improving air quality and purification. The key is choosing the right type of plant for your space, as well as finding a plant that will complement your lifestyle when it comes to maintenance. Potted plants work well in any size home, from studio apartments to huge mansions. For something compact consider a terrarium. Terrariums have enjoyed a resurgence of late and can be grown in just about any glass bowl, bottle or vessel. Moss is a popular and low maintenance option to grow in a terranium. There are some great geometric shaped glass vessels in brass and metallics around at the moment, try Freedom Furniture or West Elm. Another excellent potted plant (especially for smaller properties) is a cactus. Cacti ties in nicely with bohemian and nordic looks – pair with animal skins throws or rugs or handicraft type wooden furniture for a very on trend ‘Vikings’ inspired design. Aloe Vera, Jade Plants and Mini Succulents are other plants that work well for homes with limited space and can be styled in cute pots and clustered together or sit solo on a window sill or shelf. The Phalaenopsis Orchids is the perfect addition in a chic designer style room and will work well with glamourous, luxe furniture. Try a group of potted cascading orchids lined with moss on a coffee, console or dining table. Phalaenopsis Orchids are low maintenance as long as they are kept in a warm room, these are one of the easiest species of orchid to care for. Growing herbs in your kitchen could also work for you in your space, not to mention they will be good for the taste buds and smell divine! Or Ferns in hanging baskets can make sensational installations in large to medium sized properties and would work especially well in a winter gardens or sunrooms. 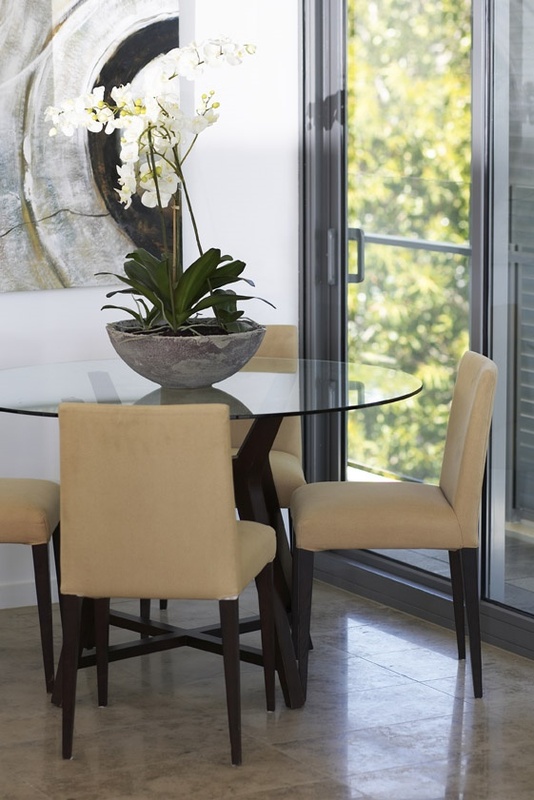 Floor standing indoor plants will complement any interior, provided you choose the right size plant. These free-standing, potted, mini trees are a great way to fill empty spaces, for example, next to your entertainment unit or a console table in a corridor. Ficus or Finger Palms are ideal for this. 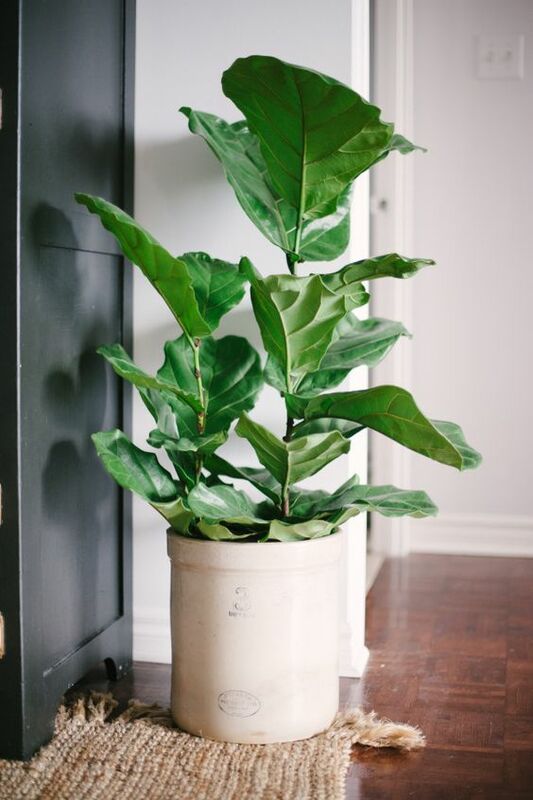 A Fiddle Leaf Fig tree can make a real impact, especially in larger spaces as they can grow to between 2 and 3 metres in height. These elegant plants are relatively easy to maintain but do require a bit of attention. 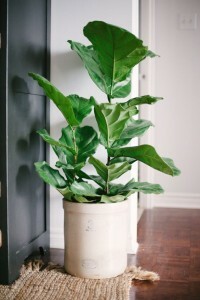 Rubber Plants are another good option, their lovely glossy leaves will add extra impact to that pop of green, and work especially well with monochromatic interiors with lots of neutrals. The Rubber Plant is very low maintenance but can grow quite large, so it would be better suited to larger homes with wide open spaces. For coastal or tropical homes, Ferns or Monestera Deliciosas are the best choices, as they tie in well with this style or decor and the climate. These plants are available in a variety of sizes and could suit an apartment or larger house. We’ve said it before, we will say it again – we just LOVE fresh flowers! 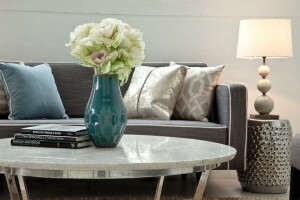 Fresh flowers transform interior spaces because they instantly make a room feel inviting and lively. Flowers are the perfect decorative tool, use as a centrepiece on dining tables, coffee tables and sideboards. Instead of displaying flowers a few times a year or on special occasions, consider them as living art and play around with changing your colour scheme through arrangements and foliage to reflect the seasons. Vault Interiors specialises in adding the finishing touches to your property before listing it for sale. Our property stylists will help you unlock your property’s potential. For short term furniture rental and professional property styling in Sydney contact Vault Interiors today.